Some children believe that their parents aren’t their real parents. They maintain the delusion that their real parents are royalty, or at least better off in some way. This is what psychoanalysts call “the family romance.” In Haruki Murakami’s recently published New Yorker short story, “Town of Cats,” the title character Tengo has this fantasy (The New Yorker, 9/5/11). 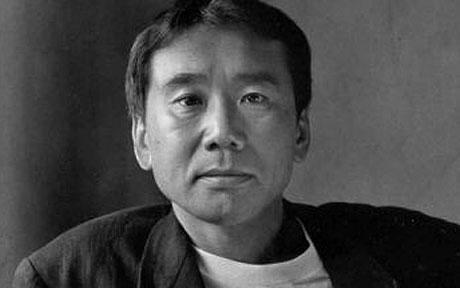 “Tengo would tell himself that his father’s home was not where he belonged,” Murakami writes. “He had been mistakenly locked in his cage, and someday his real parents would find him and rescue him.” There is a story within Murakami’s miraculous story, also called “Town of Cats.” In this story a character journeys to a town occupied only by cats. The cats eventually sense the intruder, but they can’t recognize him, even though he is right before their eyes. The character realizes he is in danger and attempts to take the first train out town, but the train that had left him off no longer stops for him. It’s as if no one’s there. The father in the story is a subscription collector for NHK, a Japanese telecommunications company. The father had come from poverty and had raised the child on his own after the mother died or left—it’s not clear. We'd learned earlier that the father has "entered a sanatorium ... that specialized in patients with cognitive disorders," and the story ends with the son's actual visit, just like the protagonist of “Town of Cats” (the story within the story) journeys to the town to deal with some unfinished, as yet unspecified business. In one of the most touching moments of Murakami’s narrative, the father tells his visitor, “I don’t have a son.” “So what am I?” Tengo demands. “You’re nothing” is the response. Still, there are hints that Tengo is breaking through, one of which is the tear that runs down his father’s face. It’s plain there are no answers. His father says this when he talks mysteriously about a vacuum that needs to be filled. But when Tengo tries to learn more, he is rebuffed. “If you can’t understand it without an explanation,” his father says, “you can’t understand it with an explanation.” So we return to the idea of the family romance again. The troubled man who’d shown little appreciation for his boy as a child, and who claims not to recognize him as an adult, in fact appears to be his father. That’s Murakami’s implication, and therein lies the pain.